WSU health researchers Phil and Pat Butterfield operate Winescape on Spokane's Glenrose Prairie. “We’re able to dump those bins. I have a forklift and it has a rotator. Rotate the bin, dump them in there. It elevates them up into this unit up here, which is our de-stemmer,” he said. The machine removes the stems and the grapes are dropped into bins, where they start the fermentation process. Eventually, the wine is pumped into oak casks that are stacked in the next room, which is kept at a chilly 55 degrees. 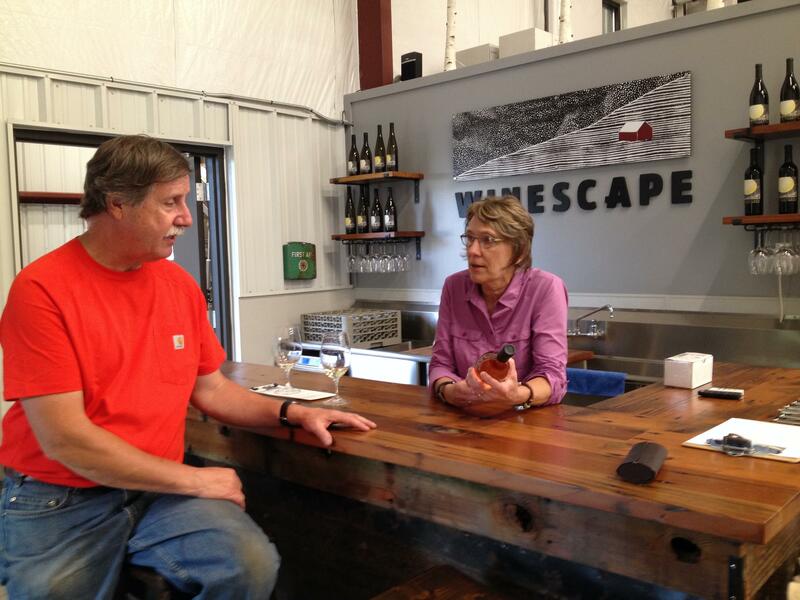 Winescape is one of the newest of Spokane’s 20 or so wineries and its proprietors are new to the business. Phil and Pat Butterfield have had long careers as health researchers. Pat once served as dean of WSU’s College of Nursing in Spokane. Now, Phil has retired from WSU, completing a transition to full-time entrepreneur. “As you’ve often heard about farmers and ranchers, and I think wineries are the same thing, they’re successful because somebody in the family is still working. I think that’s Pat, mostly," Phil Butterfield said. Phil is the craftsman, the man who turns the grapes into vintages that people want to drink. And Pat, who has directed research projects in her professional life, plays a supporting role here. “I do a lot of the grunt work and then I do some things to let people know who we are and what our story is,” she said. That story started on Spokane’s South Hill eight or 10 years ago when the Butterfields began getting interested in wine. Phil made wine in his garage and, when they began making plans for the winery, they decided they’d need a place that had more space. So they bought property on the Glenrose Prairie. “We didn’t have a vineyard and that’s fine because we knew how to source great grapes, but what we wanted to do was not get somebody else’s warehouse. We wanted to do our own production facility. So we had to learn how to design it. We worked with Tom Kundig, a fabulous Seattle-based architect, to create a space that’s very simple and that makes great wine,” Pat Butterfield said. Phil Butterfield is an environmental engineer. He knows his way around a laboratory and that helps when it comes to planning and making wine. One of Phil Butterfield’s early winemaking partners was Michael Ebinger, director of WSU’s Center for Innovation. He offered some early help as the team began developing Winescape. So there’s room for growth, in terms of building an inventory of wine. For Phil Butterfield, there’s also room for growth, in terms of expanding his knowledge from making wine to operating a business and dealing with customers. You can hear the smile in his voice. And you can sense that this is an exciting change for a couple in transition. “I think we’re old enough to understand the journey is a big part of it, that there’s not a stop sign or a destination, but it’s really in learning along the way,” Pat Butterfield said. 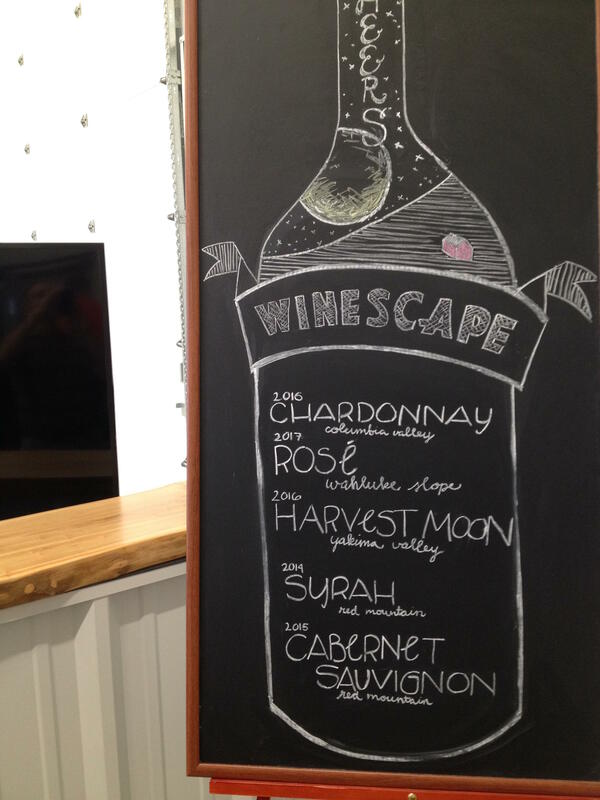 Winescape is open to visitors most Friday afternoons and weekends through the summer.